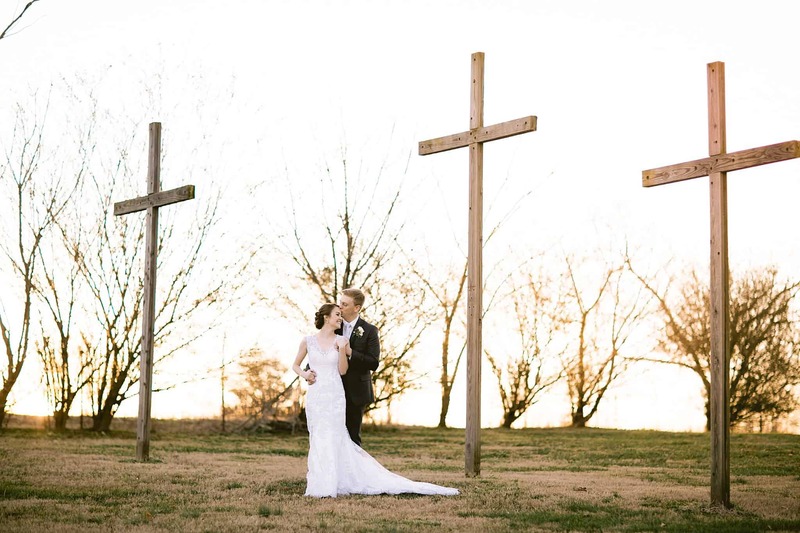 Kelsey and Jesse (and their families) worked so hard for several months as they prepared a gorgeous DIY wedding in the field across from their house. It was to be a “country” wedding, and all of the decor was handmade. From the mason jar chandelier, to the hand-painted signs to the corn hole boards and the centerpieces – everything was made with love and in celebration of these two lovebirds coming together in marriage. It was a perfect and beautiful sunny Saturday in June – the only one we had without rain I think! As the bridal party and family got dressed and ready, you could just feel the excitement all around for this couple. By the time the ceremony rolled around, everyone was bursting with joy and as Kelsey walked through the double doors and past the grass toward her groom, tears rolled down her face as everyone watched this beautiful bride walk her last walk as a single lady. What a joyous moment! And then Jesse surprised his bride with vows that he not only wrote for her, but he also SANG them to her. Precious I tell you. As the sun went down, the guests were ready to dance the night away. Kids and grandparents alike were out shaking the groove on the dance floor. I can’t describe the joy under that tent that night. It was perfection, and we enjoyed every minute of it!